Apple opted not to include disc drives in newer Macs, which increases the difficulty to play DVD on MacBook Pro, unless you own third-party DVD player. Plus, there are many reported DVD playback issues like "MacBook Pro won't play DVD", "can't get a DVD movie to play on a new MacBook Pro", "how to solve DVD playback issues of different regions", to mention but a few. We bring a comprehensive guide to play DVD on new MacBook Pro, MacBook Pro/Retina with/without disc drives, and to watch region-locked DVDs on MacBook Pro without changing the region. It's very simple to watch your DVDs, especially the old discs, on MacBook Pro with a disc drive. Just insert a DVD into the drive, and the default DVD player app included with Mac OS X will open it automatically and display the DVD menu. Click the chapter you want to play and click the play button, you will start enjoying DVD movies on your MacBook Pro/Retina. If your MacBook Pro has no disc drive, skip to the next part. Tips: if you are encountering problems, for example, DVD is ejected, DVD player quits unexpectedly, MacBook Pro DVD player not working, DVD won't play correctly, a blank DVD error, read guide to fix DVD won't play on Mac. There're several ways to ensure a smooth DVD watching experience if your Mac computer doesn't have an optical drive, for example, buy an external DVD drive, use remote Disc sharing, the latter doesn't support some commercial disc. Many hate to lug a DVD drive around. The most convenient way to play DVD on MacBook Pro would be rip movie content off DVD disc and save it to MacBook Pro hard drive in the format like MP4, MOV or M4V. You have many choices when it comes to ripping DVD, such as HandBrake, MakeMKV, MacTheRipper. We recommend the best of the best, MacX DVD Ripper Pro, which works on Mac (macOS High Sierra incl.) and Windows (Win 10 incl.). It can rip every and any DVDs to MOV, MP4, M4V etc. 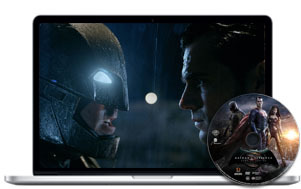 for hassle-free playback on Mac's default QuickTime player, or VLC, 5KPlayer etc. It conquers the latest DVD releases, workout DVDs, damaged and unplayable DVDs, 99-title DVDs, with built-in DVD analysis and title check tech. Now, you can play any DVDs on MacBook Pro needless DVD drive on a plane, at any places with a single click. No more DVD not playing and DVD drive not working on MacBook Pro issues. 1 Free download the DVD ripper for MacBook Pro (macOS Sierra based Mac also supported), run it. Click "DVD Disc" to load the DVD you insert. 2Select and format to output. You can convert DVD to MP4 format, which is widely accepted by DVD player for Mac. And click "Done" to save the output format setting. 3 Click "Browse" button and select an output folder on your computer to save the output DVD movie files . 4 Click "RUN" icon to start to rip DVD on Mac for easy playback. hardware acceleration, Hyper Threading tech and multi-core CPU option make it world's fastest DVD processing speed, meanwhile, built-in High Quality engine guarantees nearly original quality output. It's still easy to play DVD on MacBook Pro without a hard drive, - just buy an external DVD drive and attach it to your Mac. Apple USB SuperDrive priced at $79 is designed to fix the issue. It's slight and simple to deal with, connect it to your MacBoook Pro with a USB cable, insert a DVD and it plays. But it will not play or burn Blu-ray discs on MacBook Pro. Sure, there're many other external DVD drives on Amazon to choose from. Apple USB SuperDrive can compatible with MacBook Pro with Retina display, MacBook Air, iMac (late 2012) and later, Mac mini (late 2009) and later, Mac Pro (late 2013). Just open Finder Preferences window and check the box "Show CDs, DVDs, and iPods on the desktop", and the external drive will show up on you Mac. If your Mac still won't recognize the external drive, make sure everything is plugged in, turn it on and off again, try different USB ports, different DVDs, and most importantly, it needs enough power for the external DVD drive to run correctly! 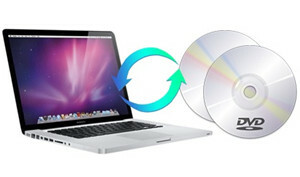 "How to play DVDs on MacBook Pro from different region? I have a MacBook Pro, and it is set to region 2. How can I play different regions without having to change the region code? I tried opening the Video_TS.VOB file but that didn't play the movie. Any thoughts?" from mac forums. DVD region code limits where the disc can be played. In order to play different region DVDs on MacBook Pro, follow the popping up note to switch region. But you can only change the region 5 times and it will lock to the last region you set. To get it fixed without changing the region code, use a DVD ripper to remove region code from DVD. You can only do this under the concept of "Fair Use". A good DVD player for MacBook Pro also matters for smooth DVD playback on computer. We list top five DVD player software for MacBook Pro, for your reference. If you find any good DVD player for Mac, let us know. We'll keep updating the list. Cannot rip protected DVDs like new release Hacksaw Ridge with top free DVD ripper and get annoyed with DVD rip errors, e.g. no title found, I/O error, software crashes, etc? Here're fixes about how to copy protected DVD to Windows 10/8/7 or Mac hard drive and rip copyrighted DVDs to MP4, AVI, MKV, etc without DVD copy protection error. macOS Mojave comes with an updated 64-bit DVD Player app, making users free to watch DVDs on Mojave based computer with a built-in DVD drive or an optional one. No sound when playing DVD on TV or computer with DVD player? Why audio not working on DVD player? Answers and solutions are here; you will know why and how to solve the 'DVD player no sound' problem. 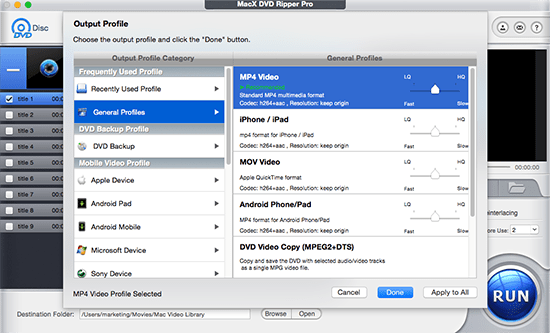 MacX DVD Ripper Pro is the best alternative to VUDU Disc to Digital that can freely remove any DVD protection and rip/convert any new copy-protected DVDs to various video formats (MP4, MOV, MKV, AVI, FLV, etc) and portable devices with original quality.